The overall diet quality of Brazilian adolescents is inadequate based on evaluated parameters in all regions and socioeconomic backgrounds. This work was supported by the Brazilian Funding Authority for Studies and Projects (FINEP) (Grant number 01090421) and the Brazilian National Council of Technological and Scientific Development (CNPq) (Grant numbers 565037/2010-2, 405009/2012-7, 457050/2013-6), and DBR received the Spouse Education Fund (SEF) grant from the Community Committee for International Students of Stanford University Bechtel International Center (CA, USA) to participate in a Stata software course. FINEP, CNPq, and SEF had no role in the design, analysis or writing of this article. DBR would like to acknowledge the Spouse Education Fund (SEF) grant provided by the Community Committee for International Students of Stanford University (CA, USA). 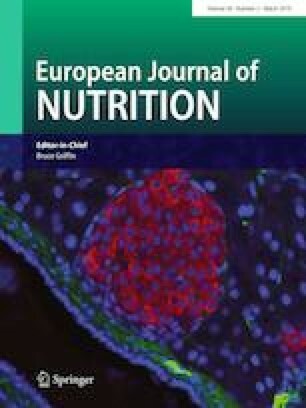 The authors gratefully acknowledge Inge Huybrechts from the HELENA study (Healthy Lifestyle in Europe by Nutrition in Adolescence) for her help in the calculation of the diet index and Eliseu Verly Júnior for being a consultant. The present study was approved by the appropriate ethics committee, and all procedures performed were in accordance with the ethical standards of the 1964 Declaration of Helsinki and its later amendments.